The Inca city of Machu Picchu is one of the seven wonders of the world, historical and natural heritage of humanity and one of the most amazing places that exist, and the mountain Huayna Picchu is one of the most amazing places in Machu Picchu. Learn how to get to Machu Picchu and Huayna Picchu from Cusco. You will need to board a bus, then a train and then another bus to get to Machu Picchu, so the organization of your itinerary must be precise, otherwise you could have extra expenses or other setbacks. Cusco is the city where you will have to arrive to go to Machu Picchu and Huayna Picchu. Once in Cusco you should go to the city of Ollantaytambo; This is the place where you will board the train heading to Aguas Calientes (Machu Picchu town), at the foot of the Inca city of Machu Picchu. However, keep in mind that you should not expect to arrive in Cusco to buy entrance tickets to Machu Picchu. We recommend you book them 4 weeks before your visit. Important: in case of booking the ticket Machu Picchu + Huayna Picchu must do it 3 months before. In case of booking for the high season (May – August) all Machu Picchu tickets must be booked several months in advance. We recommend you do not make any effort on your arrival in Cusco, this will help you acclimatize and avoid the symptoms of altitude sickness. Cusco is the best destination in South America; In this city you will have to board a bus to Ollantaytambo. In the street Pavitos (in Cusco) you can find cars, buses and minivans directly to the town of Ollantaytambo, these will cost around 20 soles. All services will leave you half a block from Ollantaytambo train station. If you have free time do not miss it, the Inca town of Ollantaytambo is one of the most mysterious places that exist, because if you did not know, Ollantaytambo is vertically aligned with other amazing ancient places on the planet, the pyramids of Giza and the islands of Easter are some of them. In Ollantaytambo you will have to take the train to its final station in Aguas Calientes. 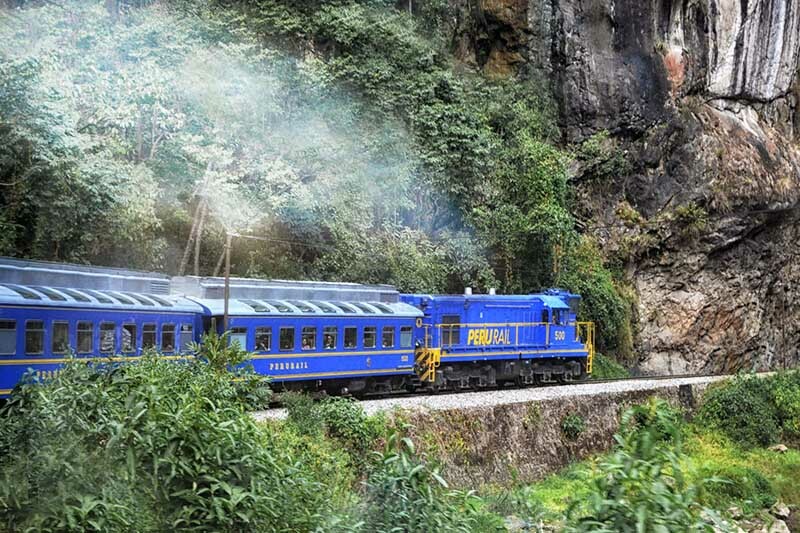 The trains to Machu Picchu are operated by two companies, PeruRail and IncaRail, both have multiple services and schedules. Important: The train tickets are finished weeks before, that is why we recommend you to reserve them as soon as you have the Machu Picchu tickets in your possession. We can take care of everything you need to get to Machu Picchu, just contact us through info@boletomachupicchu.com. The bus station is only two blocks from the train station. You can get there by walking, in 5 minutes: in any case, the only vehicles that can circulate in Aguas Calientes, are the buses to Machu Picchu. The ticket office is in front of the bus station, just before the Ruinas bridge. You may have to make a long line. The entrance to the mountain Huayna Picchu is located within the Inca city of Machu Picchu; however you can not enter without having reserved the ticket Machu Picchu + Huayna Picchu several months in advance, It is the only way to get one of the 400 tickets available to enter the Huayna Picchu mountain. The steep paths and stone steps, the views from them, the Temple of the Moon, the extreme terraces, among other constructions, make this one of the most amazing short walks in the world. As we mentioned, the ticket Machu Picchu + Huayna Picchu must be booked months before, we recommend you book it 3 months in advance, so you can choose the group in which you want to enter the mountain Huayna Picchu. This ticket allows a total time of 6 hours to tour the Inca city of Machu Picchu and the Huayna Picchu mountain. If you have been able to obtain one of the tickets available to enter Machu Picchu and Huayna Picchu, enter Machu Picchu very early, especially if you book Huayna Picchu in group 1. You can enter the Inca city from 6 am. In case you have not found Huayna Picchu tickets available, you can book the ticket Machu Picchu + mountain; This will allow you to see Machu Picchu from above, after a beautiful hike. The Temple of the Moon is one of the most amazing temples and one of the most energetic places in Machu Picchu, and you can only access it from the Huayna Picchu mountain. Wear non-slip shoes, water, and a camera with lots of space; the photos that can be obtained from the top of “huayna” are some of the most impressive. Huayna Picchu and Waynapicchu? Anyone, both describe the mountain in the background in the classic image of Machu Picchu. 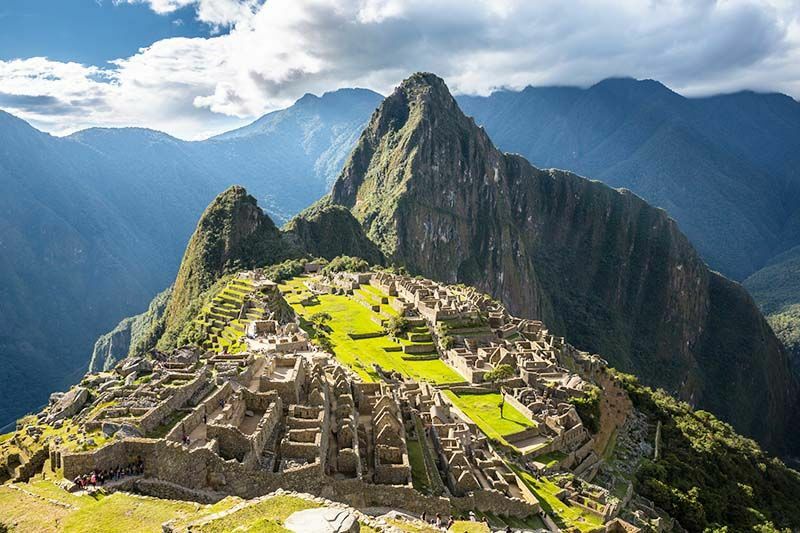 ← Machu Picchu: What to do if the ticket is lost?